Anita Bruzzese is a nationally syndicated columnist on the workplace and award-winning journalist. Also a highly rated speaker, she has addressed audiences on topics ranging from taking control of your career, avoiding workplace blunders and responsible business blogging. She has appeared on The Today show, been interviewed on public radio and been quoted in many national publications such as O, The Oprah Magazine, Glamour and BusinessWeek.com. 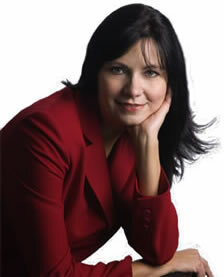 For more information on having Anita speak at your event or to hire her for writing or editing projects, contact Anita.